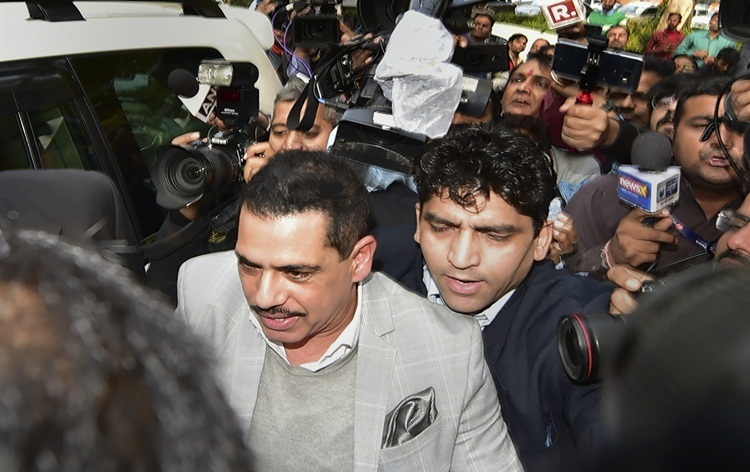 Businessman Robert Vadra today appeared before Enforcement Directorate in a money laundering case probe. Mr. Vadra reached ED office in New Delhi this evening accompanied by his wife Priyanka Gandhi Vadra. Robert Vadra is appearing before the agency in the case related to the alleged purchase of properties in London. Last week, Delhi court has granted interim bail to Mr. Vadra in this case and had directed him to appear before the ED and cooperate in the investigation.